From here, select one of the categories you wish to restrict access in. 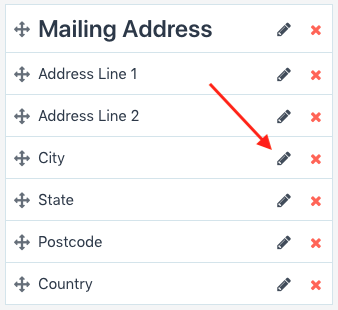 Next, select the field you want to lockdown and click the Pencil Icon next to the field. The options to lock it down to access permissions will appear on the right hand side. 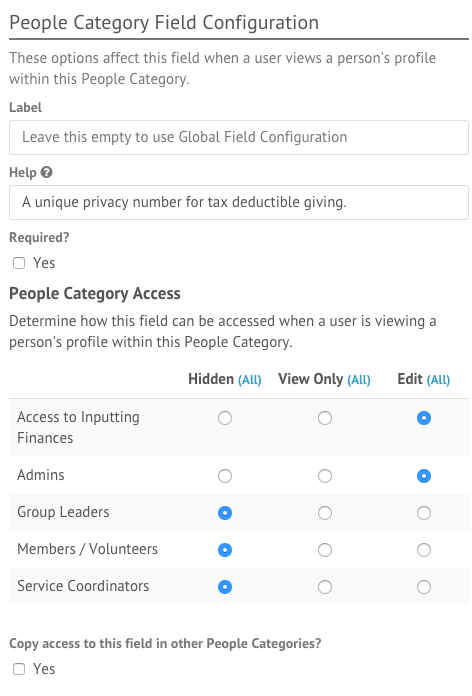 Simply select which access permissions you want to be able to edit or view the field, and which ones you want it to be hidden from. These lockdowns and labels are applied per-people category. 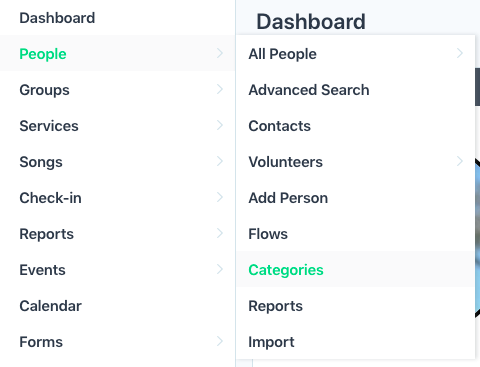 If you want the same lockdowns to apply to other people categories for that field, select the “Copy access to this field in other People Categories?” checkbox.